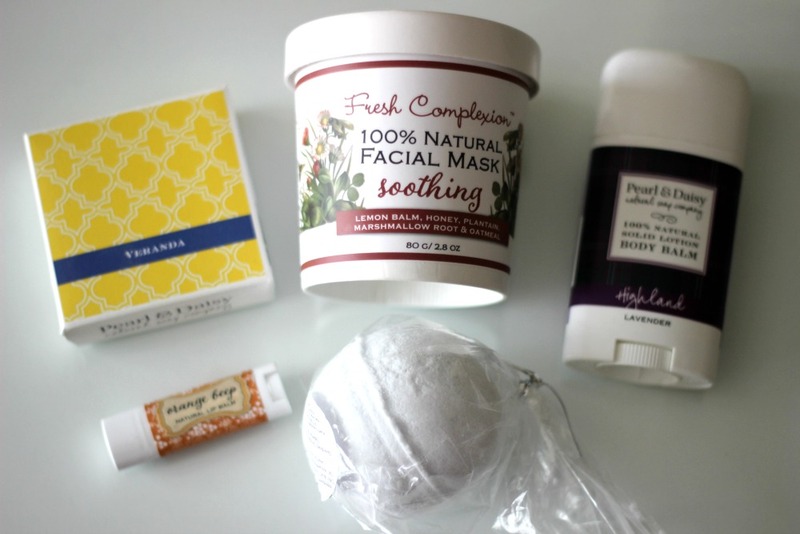 In the last few years, I have come across many amazing skin care brands that have left me wanting to try more. Pearl & Daisy would be one of them - I was first introduced to this 100% natural line earlier this year and was super impressed. For a little more background on this Canadian brand, I invite you to read my original post. I recently received a surprise delivery with a few more of their skin care products and thought I would fill you in on how I have been enjoying them in the last couple of weeks. I have been using a DIY Green Clay Mask for a while now, so I was excited to switch things up with the Pearl & Daisy Soothing Facial Mask*. The mix comes in a pouch housed in a really adorable carton. All you need to do is mix it with a bit of water until it forms a paste. 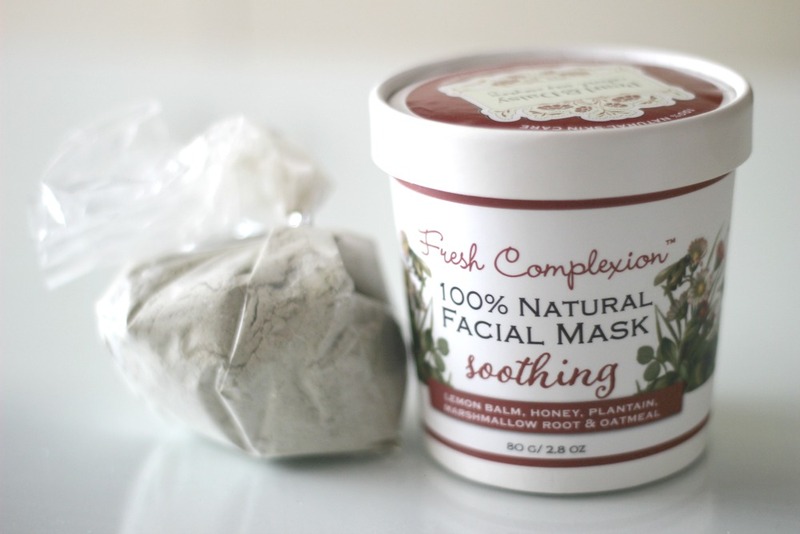 It contains heaps of calming ingredients including oat, lemon balm, kaolin, honey, plantain and kernel flour. I made the mistake of leaving the mask on for a bit too long the first time around (as in double the needed time) and ended up having a hard time removing it afterwards, so just a reminder that clay and oat-based masks really do not take long to dry! 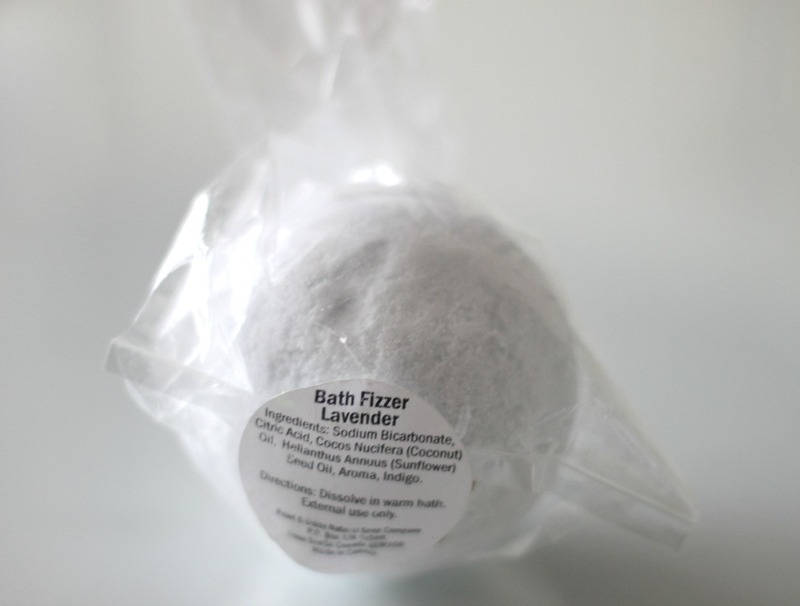 Next up, I enjoyed a relaxing bath thanks to their delicious smelling Bath Fizzer in Lavender*. I am obsessed with anything lavender ever since I visited a lavender field a few summers ago (more on that here). I am not much of a bath soaker but this definitely makes it a lot more fun! I previously tried their Bath Fizzer in Rose which I also really loved. 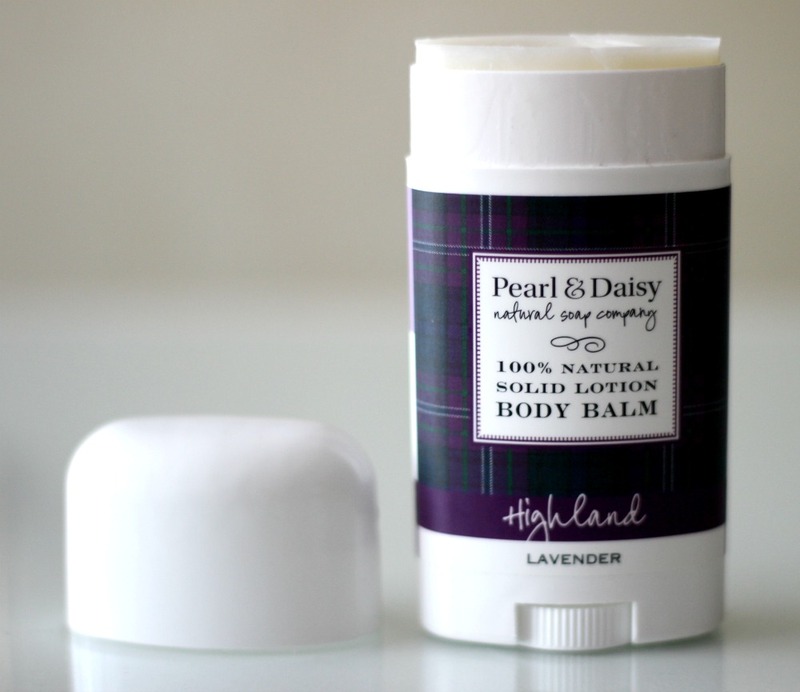 The Solid Lotion Body Balm* in Lavender is unlike anything I have previously tried. At first, by the looks of the packaging I thought it was a deodorant, but after taking a closer look at the application instructions I grasped that it wasn't really its purpose. What I really love about this product is that you don't have to get your hands dirty - the balm immediately melts on contact with the skin and applies in a fine, even layer. It's basically just swipe and go! 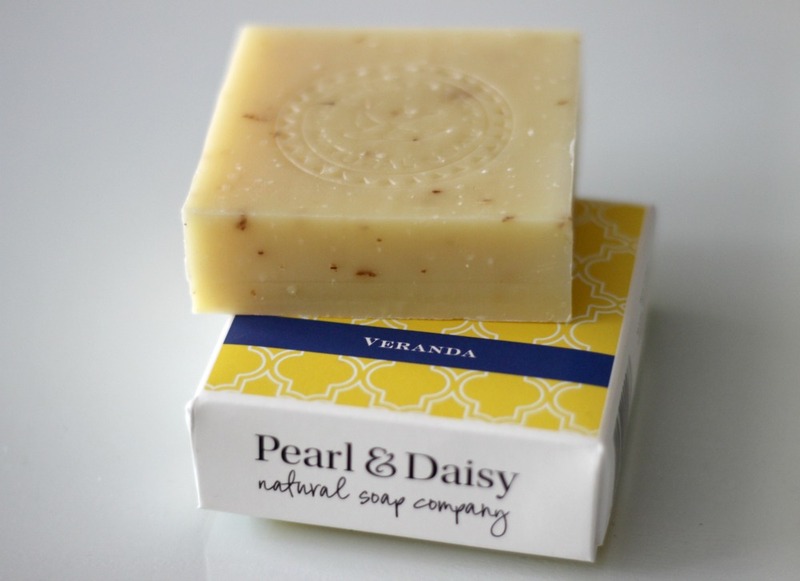 I have a weak spot for handmade soap bars, and the Veranda Soap* is no exception. I've actually previously tried this exact soap, so I was super happy to get another one. It smells amazing and helps you get a close shave too! 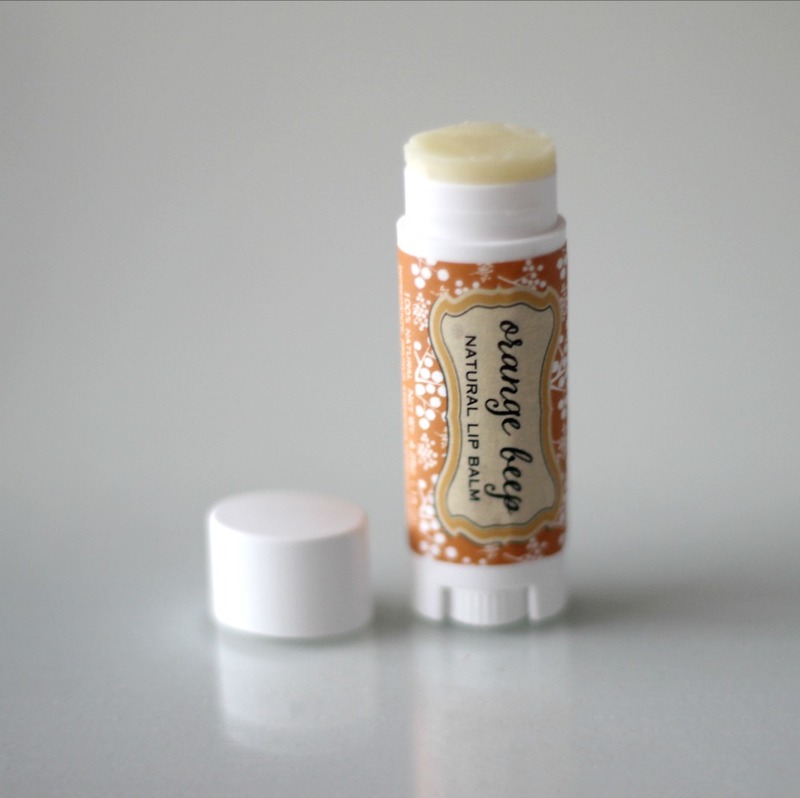 Last but not least, and probably the most delicious-smelling one of them all, the Orange Beep Lip Balm*. How would I describe it? Chocolate and citrus heaven! This handy balm contains apricot oil, cocoa butter, beeswax, castor oil and rosehip oil. I love that it does not leave a sticky residue and I only really have to apply it once a day. I really can't pick a favourite from this brand and I'd highly recommend you give Pearl & Daisy a try if you are in the market for a quality natural skin care line. Have you tried any new brands lately?